Judy is a copy editor at a newspaper in Johannesburg and previously was a freelance writer for more than two decades for magazines, with photography, as well as scriptwriting for business, radio and television. Please note: Judy is now accepting new students. Click here to contact her for more info. 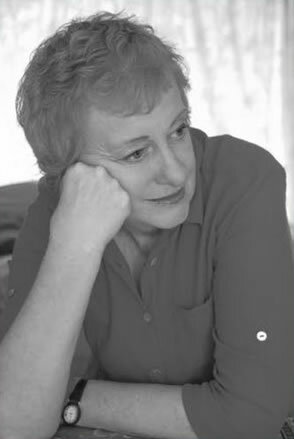 Australian born, Judy Barnes is not only a freelance writer for magazines; she is a scriptwriter who has written documentaries for television, wildlife programmes for radio and corporate videos for giants such as Siemens, First National Bank, BAC (Business Against Crime) and Anglo American among others. She brings her expertise on storytelling from her own acting background in theatre in Australia, as well as writing for Children’s and Industrial Theatre in South Africa. Alby James, (UK) Humphrey Barclay (UK), John Cundill (Australia - formerly RSA), Linda Aronson and Linda Seger (USA) are some of the famous names in scriptwriting with whom she has attended lectures. Apart from being involved in various other avenues of the profession, she was also a cross-media writer for the South African Big Brother 1 and 2, where being able to report speedily was crucial. She blames any grey hairs on both of these reality television productions. Her diverse taste of subjects has found her writing feature articles on Female Firefighters; African Traditional Healing versus Western Medicine; executive management profiles to consumer durables such as Nestlé, Kelloggs, Vodacom, MTN etc. as well as the safety of breast implants and where South Africa’s youth are destined to be in filmmaking in RSA. Her profession can be a lonely one, so belonging to writers’ groups is essential for rubbing shoulders with those who must put words on paper. Judy is now an honorary member of Writers 2000 (Johannesburg) and during her time there was vice-chair and chair over a four-year period of her almost two-decade membership. This group focuses on novels, short stories and poetry. She is also a member of SASWA (South African Scriptwriting Association), where she sat on council for six years. Perhaps Judy’s deepest passion is the ‘big screen.’ She is searching for funding to make two screenplays – one based on the unusual life of a friend who was mentored by a Zulu during his childhood, preparing him for his duty in Italy in World War 2. The other fiction based on historical research about a Zulu girl in the 1800’s who was raised in a European household. They both originate in South Africa – a country she believes has a plethora of fascinating stories to tell.